While reading the article on Read Write Web about Google ditching QR codes for their maps product, it came to mind that the QR codes are very low tech. You can print them, copy them, and put them in lots of places without costing much. There is a very low barrier to entry for anyone who would like to use them. On the other hand, Near Field Communication, while it will be great for purchasing things, it won’t be great as a reference tool. I can’t put NFC on a business card or flyer to open up my website. 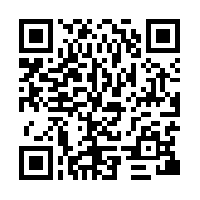 After all, a QR code is just an image which is translated by the software of your choice (in my case the ATTScanner. NFC on the other hand requires you to have a device that can communicate using NFC (not just an app). Yes, yes, I know, I ran off on a tangent about how cool, and how bad it could be, but that doesn’t really say why it won’t replace the QR code does it? I can tell you that for me, I do not have a business address to direct people to, I have a website. Everything that I do is online, which means that NFC for my company is useless. While that won’t be the case for MANY other companies, stores and more, for me it just wouldn’t make sense to even attempt to move over to that technology for my company. QR codes though make sense because of all of the reasons I listed above, and that’s enough of a reason for me to say that they shouldn’t toss out the QR codes when they seem to be finally taking off. On a happier note, there are other places that allow you to create those QR codes online, and I suppose I will be sticking with them for my QR code needs. What do you think? Feel free to discuss in the comments! The versatility of NFC is a game changer. Not just enhancing commerce but the sharing of data etc. Makes 2D codes irrelevant. No? I don’t think NFC will replace QR codes. I think they could even work in conjunction with one another. I saw one the other day in the mall that would link you to a movie, to basically play a video ad on your device. Lots of interesting concepts. I know NFC could do the same, but I don’t really want to be annoyed. QR means I am the one who initiates, it’s not interrupting a conversation I’m having, or quiet/zen time. There is definitely such a thing as too much input, and I think NFC will help spur on too much information. @ThinkGeek creates another April Fools joke that everyone wants!